Shopify has emerged as an ecommerce solution that is aimed at small online retailers. If you are one of those online retailers, then Shopify can get your online storefront up and running within no time. It is purpose derivative towards the needs of small retailer, yet is quite simple in use. It has also enjoyed the top ten spot only recently. But that is not all; it’s also improving on the ecommerce front by avoiding the mistakes of the past ecommerce solutions. However if you wish to use the best solution for small business currently available, I recommend BigCommerce (see link at bottom of post for reasons why). Shopify has a nice combination of features which make it easy to use. With user-friendly features; building, customizing hence using Shopify store in any way becomes a pleasant experience. All these features combined, and you have a package ideal for the launching of your online business. In order to get a more comprehensive analysis on the features of Shopify just go through the following details. With Shopify by your side, there is no need to look for your own web hosting, and you can also give a back seat to the worries about any sort of software installations or upgrades. As you see, this is a job well handled by the Shopify team. They are the ones who provide you a complete hosting solution while taking care of technical aspects at the same time. We all know that quality stuff comes in heavy pricing but this user friendly ecommerce solution is also friendly on your pocket. This main objective behind this type of pricing is to satisfy the small business owners. Besides a small retailer will have less than 100 unique products. The cost is thus reasonable keeping all these aspects in mind. When it comes to web hosting, you can have two alternatives; either do the web hosting on your own or let Shopify do it for you. However, mostly people wish to do the web hosting by themselves, and Shopify offers you that option. You can make your store on www.myonline.com and get along with your store. You will find that Shopify hosting is convenient, fast and reliable but there is just a small problem that it’s not possible to have additional software alongside ecommerce software. However, this is a technical difficulty common with all hosting software. The best solution to the issue is to install software on a sub-domain. The first thing that is needed for product listings is the Shopify product upload form, which is fairly easy to use. It houses sufficient fields that provides for many different sellers, yet the form doesn’t turns out to be something complex to handle. With Shopify, you have the option to display many pictures for one product along with the different product variations such as the size, color, etc. Then, there is other information like product lines, and the stock level tracking that has to be mentioned. Shopify gives you the option to do it in a way that makes the product URLs sensible and easily accessible. The best part of Shopify is that it provides the facility for bulk upload, yet maintaining the simplicity of usage. Simply fill out a comma separated product file (CSV) for your store. Besides, the bulk upload feature also allows the user to upload all images at a time. All you need to do is specify the web address of product’s image in the CSV file, and Shopify program will automatically import, resize, and use that image. This way Shopify acts as a great time saving device, a feature lacking in the first generation ecommerce solutions. The next step is the organization of the products. They are classified in categories to make them accessible. Besides, the products can also be tagged, but those tags are the secondary categories for the product list that you have saved. The most important feature of Shopify is its design that has made it a preferred choice among buyers within a short span. For your convenience, it provides five store templates that you can use anytime. With this templating system, you have the option to modify any template. You also have the freedom to start over with a design of your choice. It may also interest you to know that the designs of Shopify have been appreciated to an extent that many web design firms started to customize the Shopify templates for their use. The design further enables the sellers to talk to each other through the public forum. This design forum has grown into one of the most active sections of Shopify over the years. If you are on your way to establish an online retailer store, then there is no better option than Shopify. According to the customers’ opinions, Shopify stores are among the most beautiful stores available on the web. This is because, there are no complex strings attached to it, and its easy handling makes Shopify one of the best ecommerce solutions. 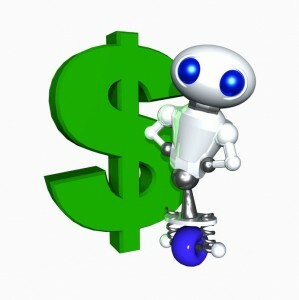 For my full review of the top four shopping cart ecommerce solutions in 2010 click here. Previous Previous post: Yahoo Shopping Cart vs. Magento – What’s best?